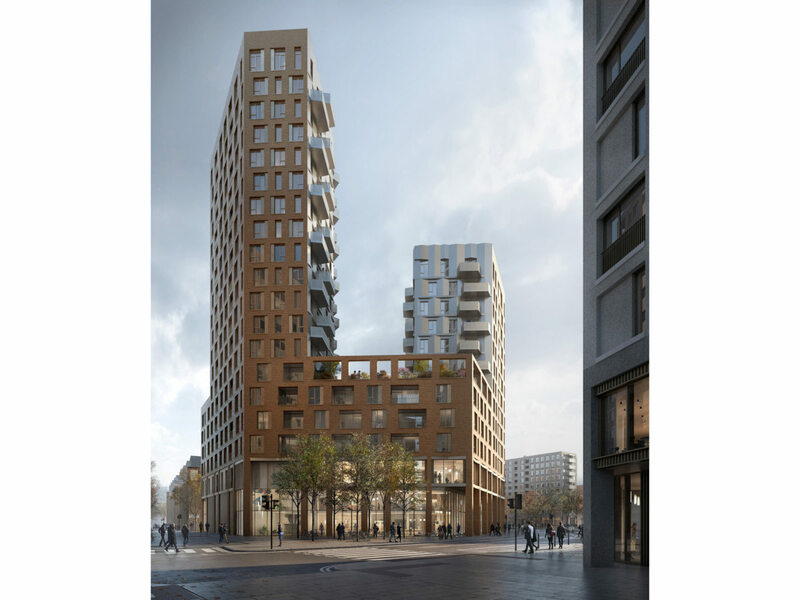 Ashley Road East is a 183-unit mixed-use development in Tottenham Hale, comprising two residential blocks formed around a central courtyard with ground floor retail and office space above. With its prime location, our scheme will play an important role in defining the area’s new identity and character, demonstrating architectural excellence and capturing the objectives of the Masterplan. The building responds to the characteristics of the historic, existing and emerging context and will help define the northern edge of Station Square along Watermead Way. It will act as a threshold to the adjacent National College of Digital Skills, framing an animated, characterful urban passage to College Square – a new public space offering opportunities for sitting, relaxing and gathering. ABA’s design draws on the area’s industrial heritage, particularly the adjacent Berol House which was one part of the Eagle Pencil Company factory to create a ‘carved’, animated perimeter block with a distinctive, faceted form and a more pronounced verticality. With a rich orange brick outer skin and a shimmering metal inner skin, the design takes inspiration from both the graphic colours and hexagonal forms of the iconic Berol Eagle pencil, which have been translated formally and as abstract surface patterns within the architecture of the building. By carving the building’s form Ashley Road East provides multiple roof terraces at different levels, as well as drawing light in from the south into the central courtyard and most importantly, College Square. 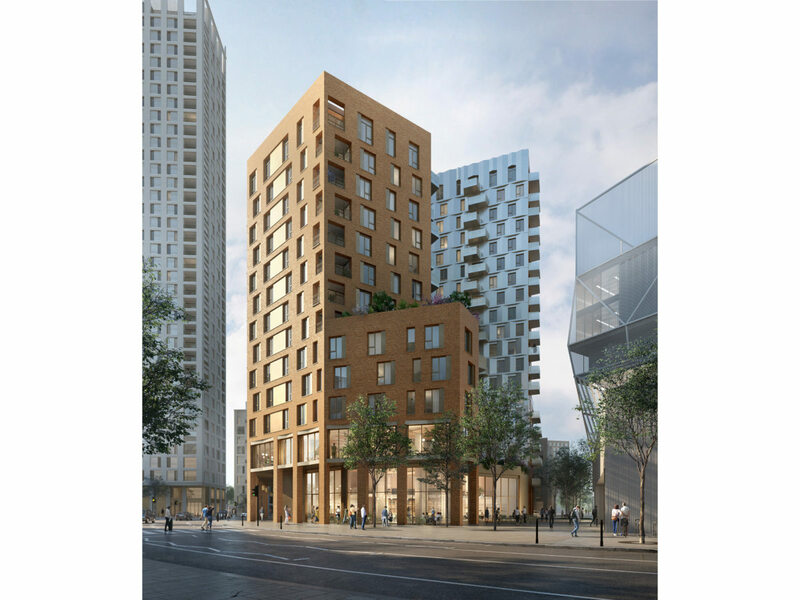 The gardens will function as a destination for the residents and the terrace at podium level will act as the scheme’s core, providing an area for residents to congregate and socialise or relax in a quiet, secluded spot. 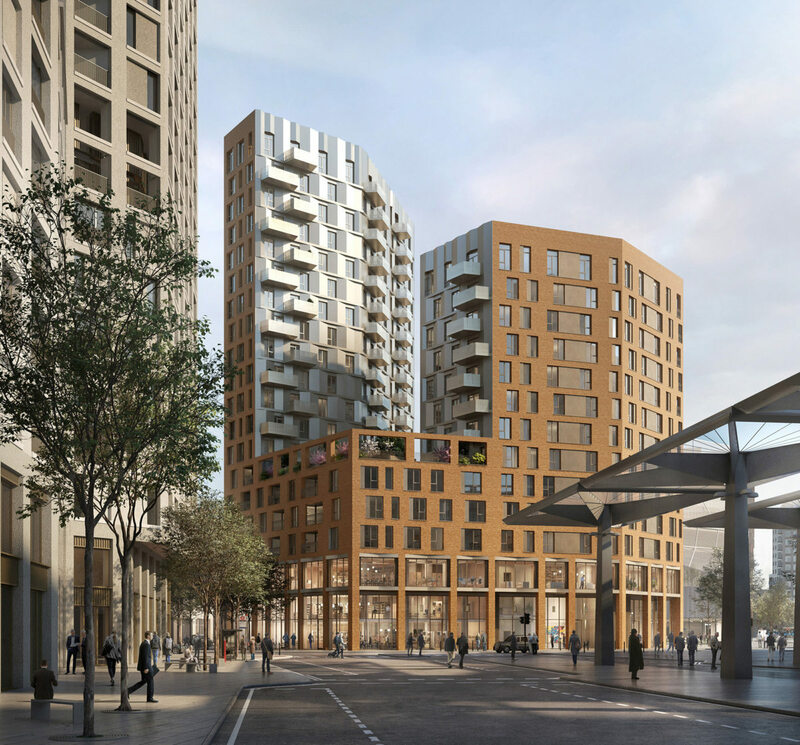 The scheme’s playful southern frontage will be the building’s most prominent façade with retail and office spaces at ground and first floor levels as well as the double high residential entrance becoming the ‘heart’ of Watermead Place. Connecting the two squares a pedestrian colonnade provides an acoustic and visual buffer from the nearby busy road, shelter from sun & rain, and a degree of structural expression. With its unique location, and the legacy and iconography of the context, Ashley Road East has the potential to be a memorable marker anchored in its place.